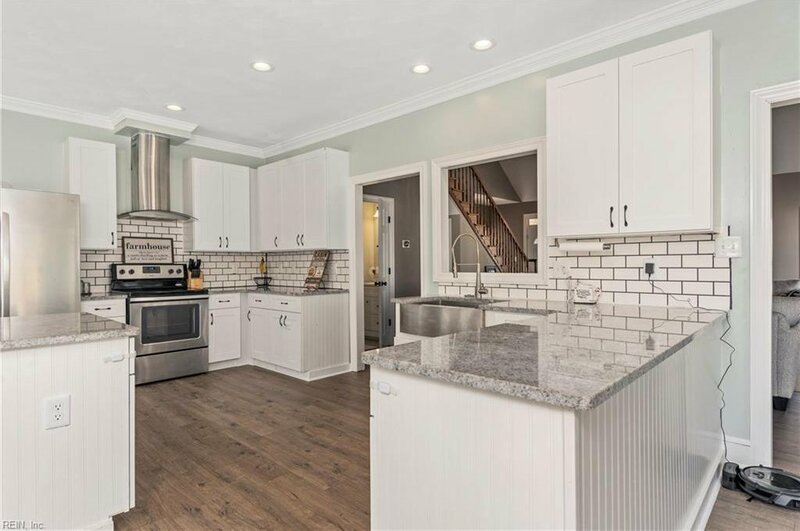 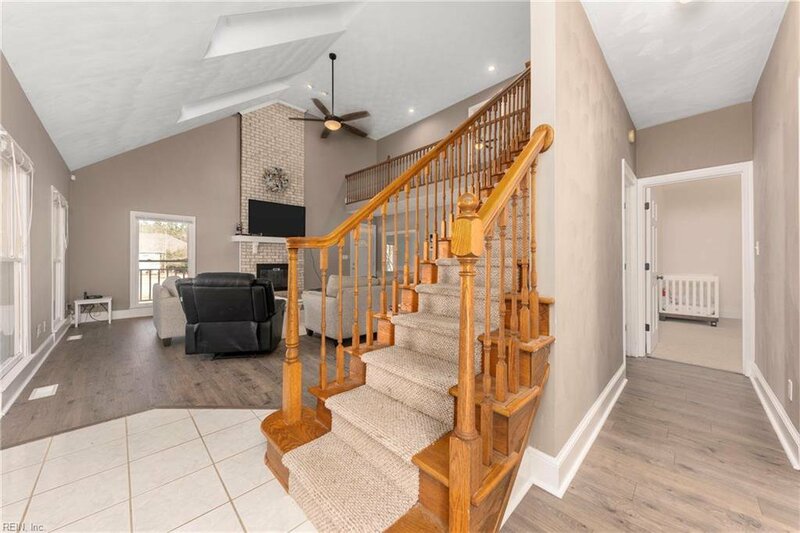 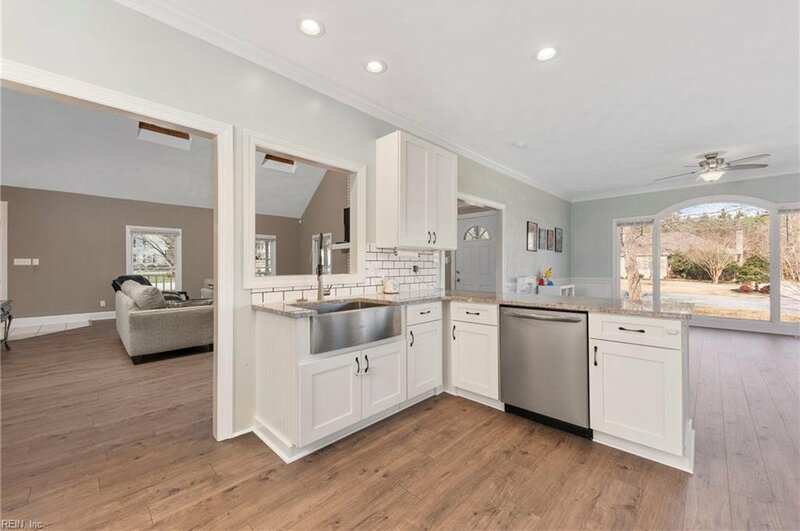 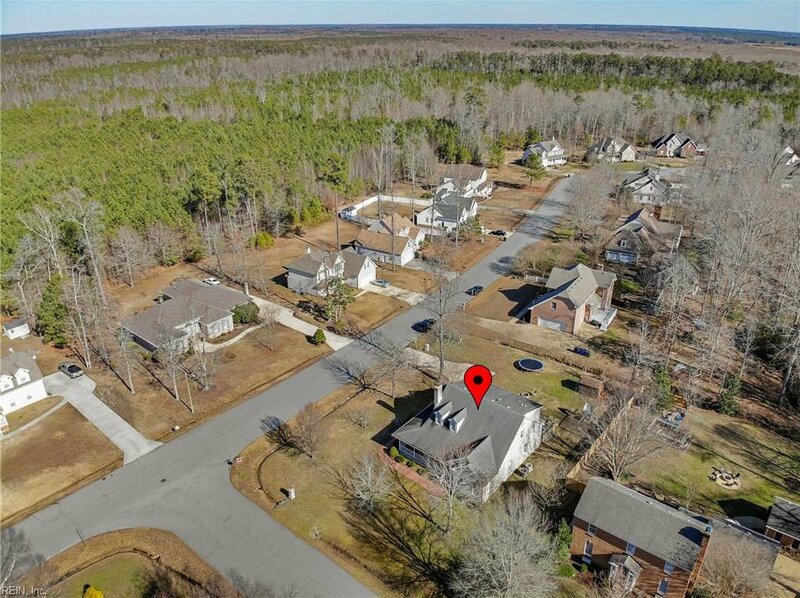 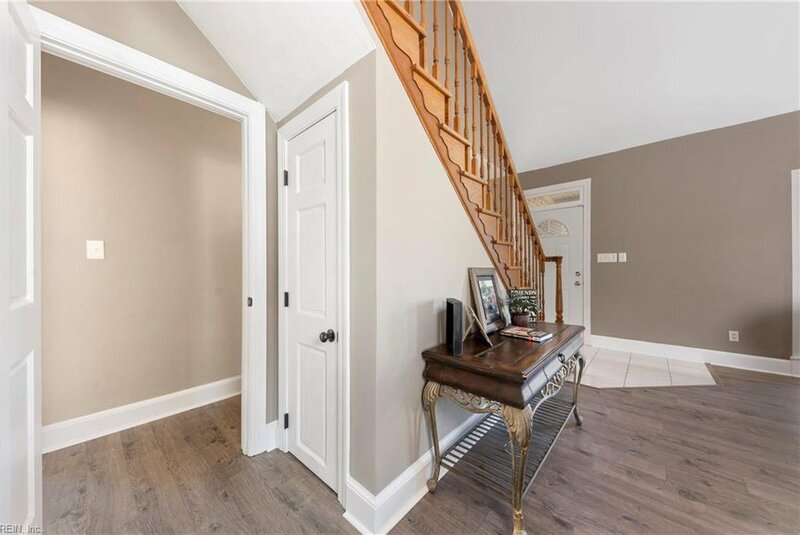 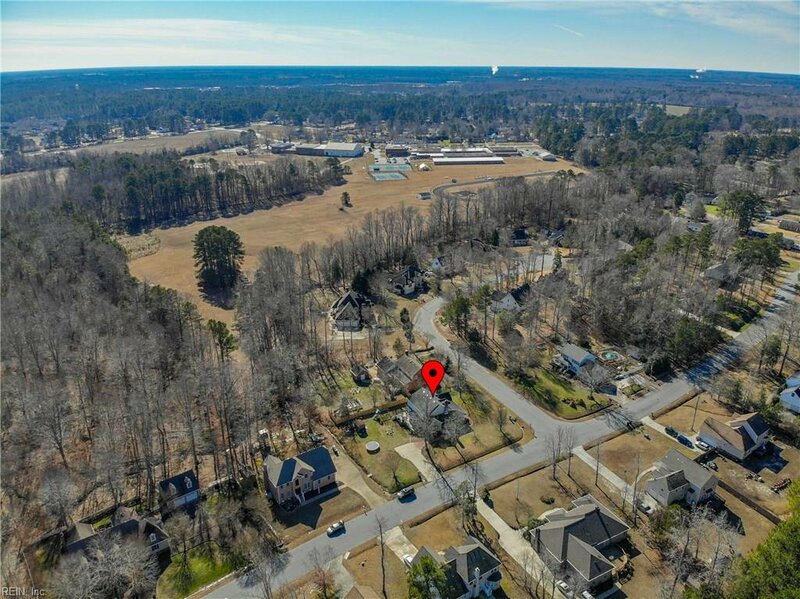 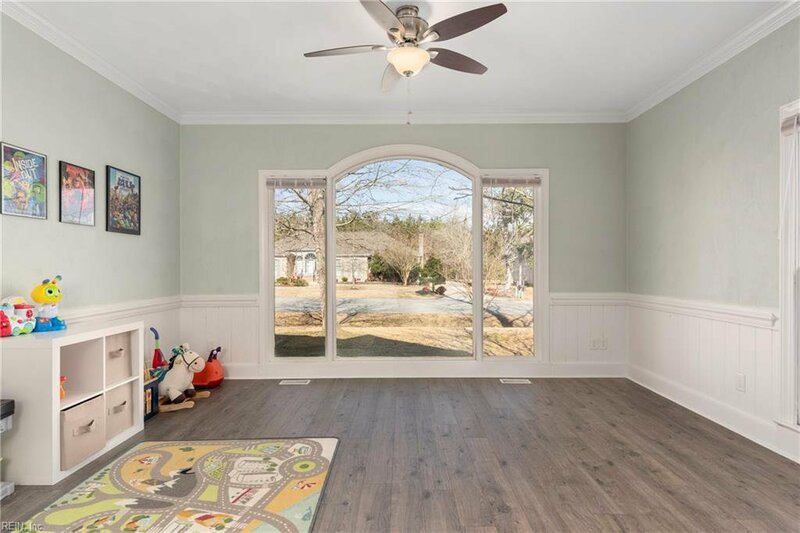 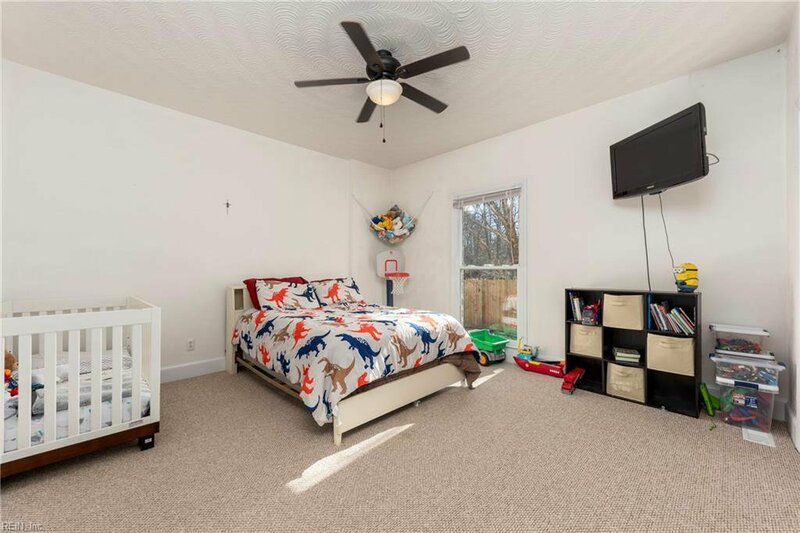 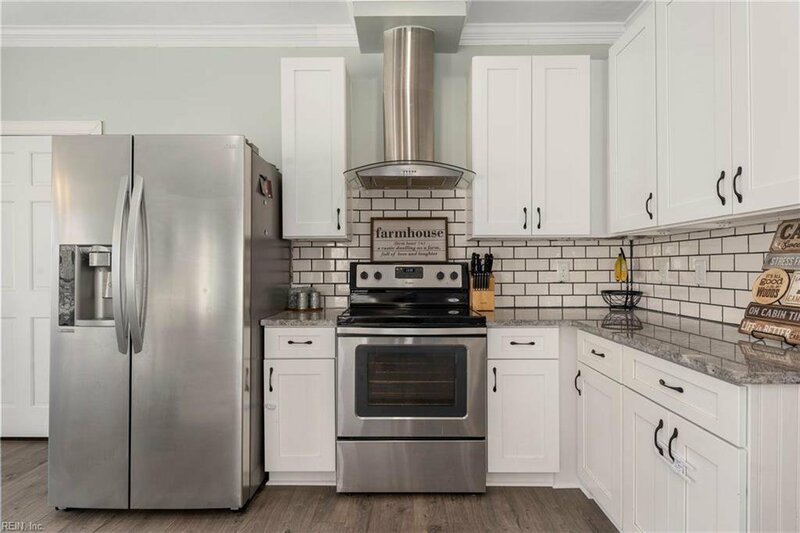 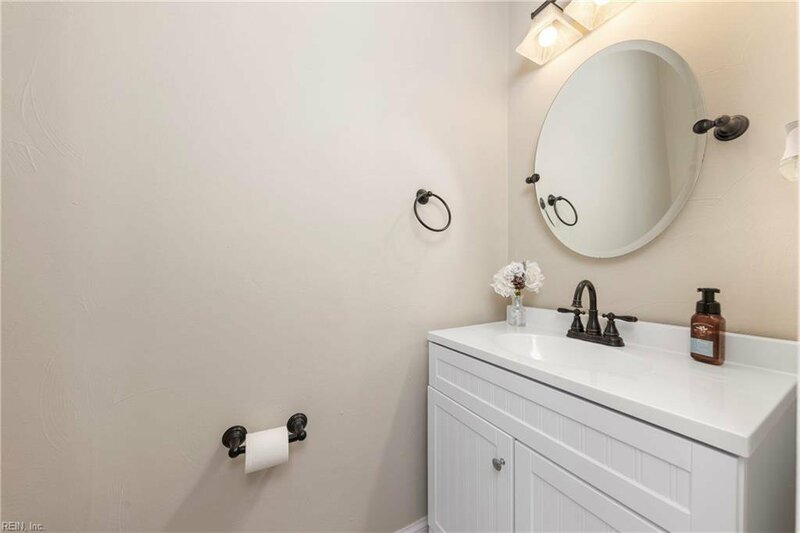 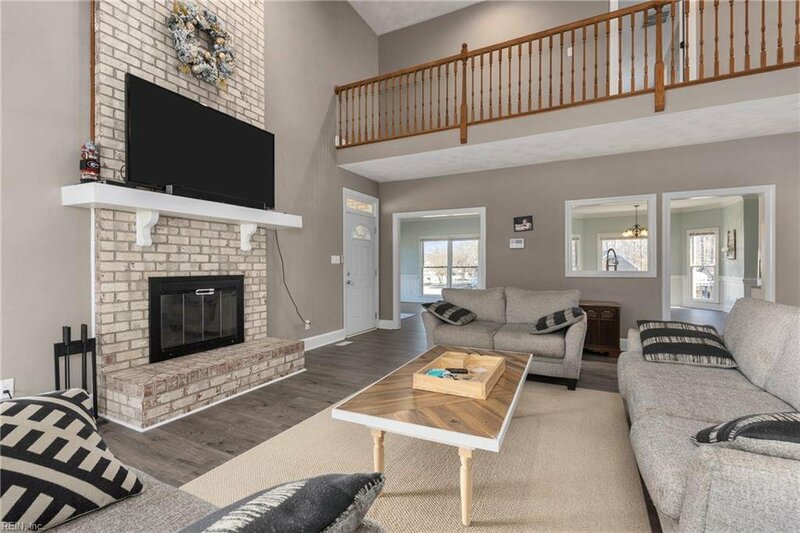 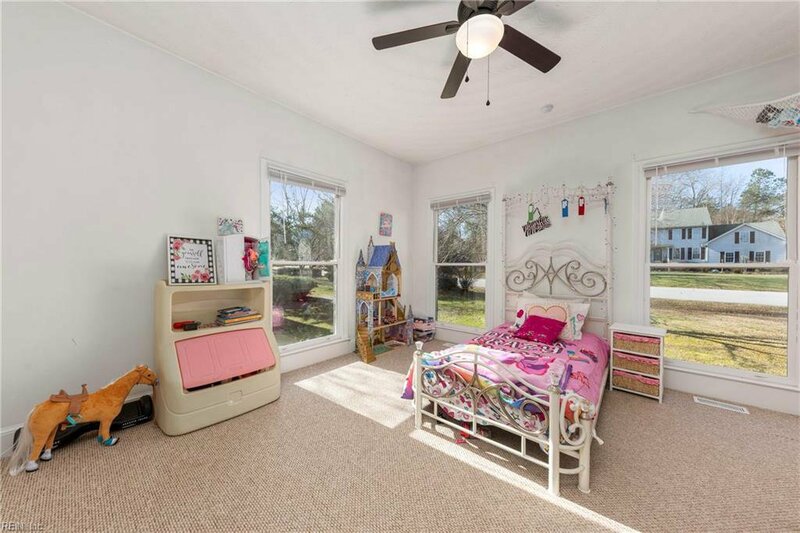 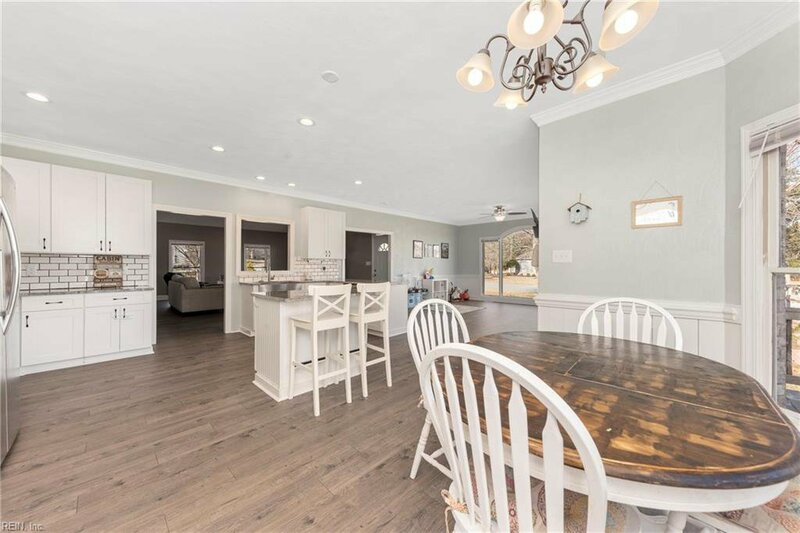 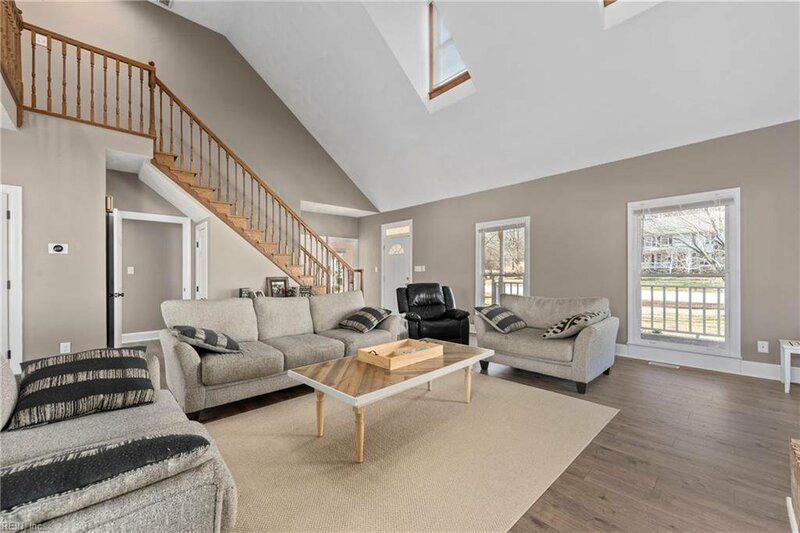 This modern contemporary cape cod boasts a newly renovated kitchen with plenty of cabinets, granite countertops, center island, breakfast bay along with a large attached laundry/mud room/pantry. 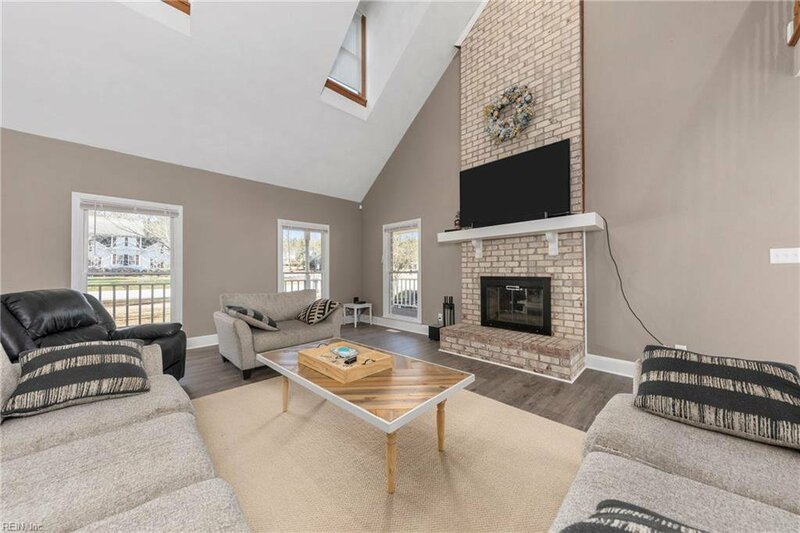 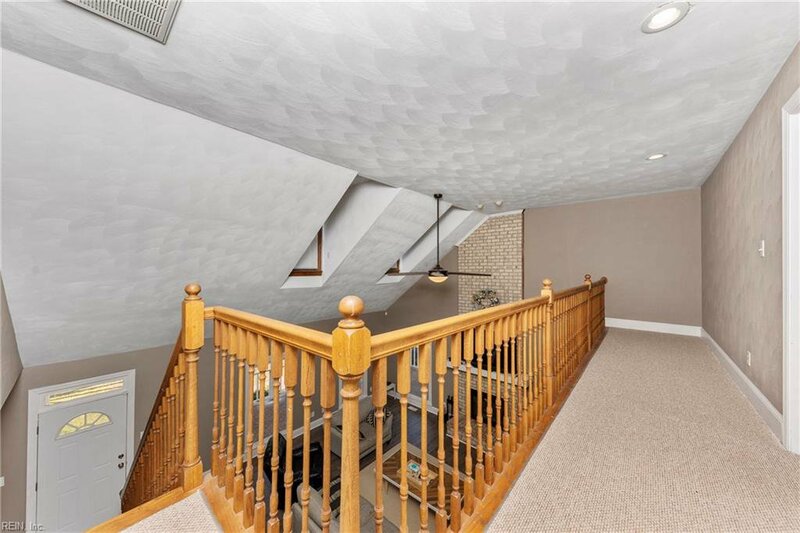 Bright open great room with soaring 2 story ceiling & wood burning fireplace. 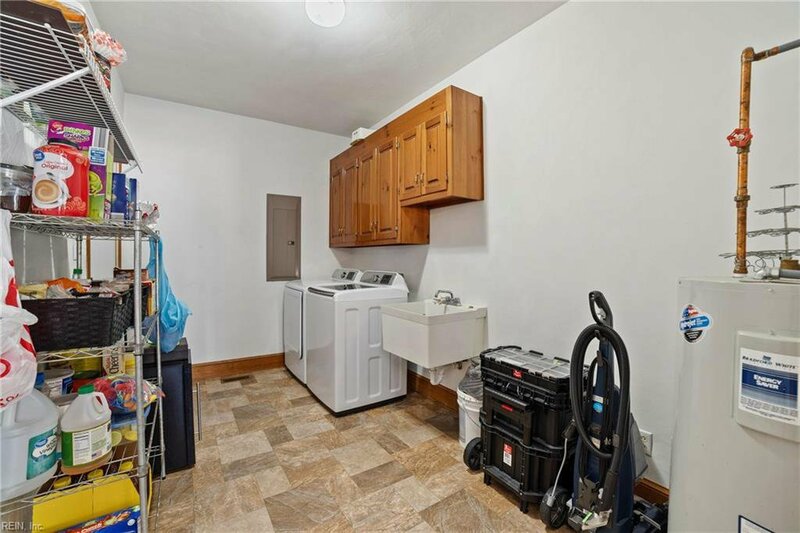 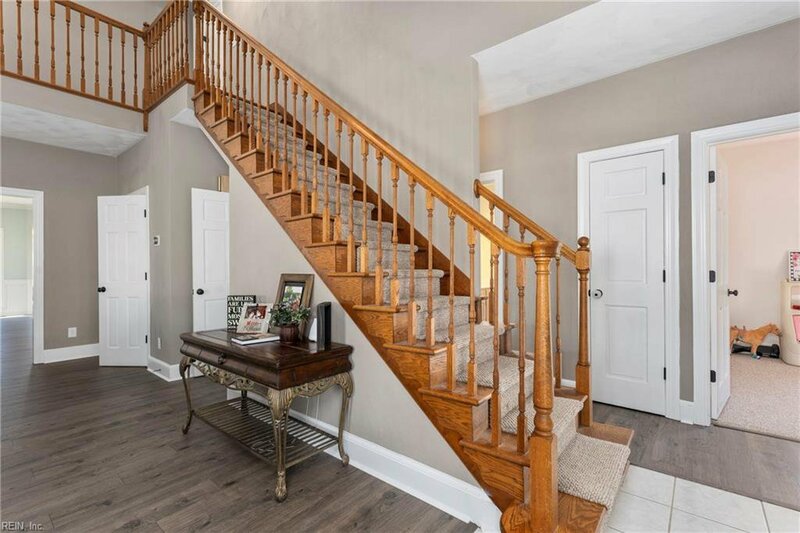 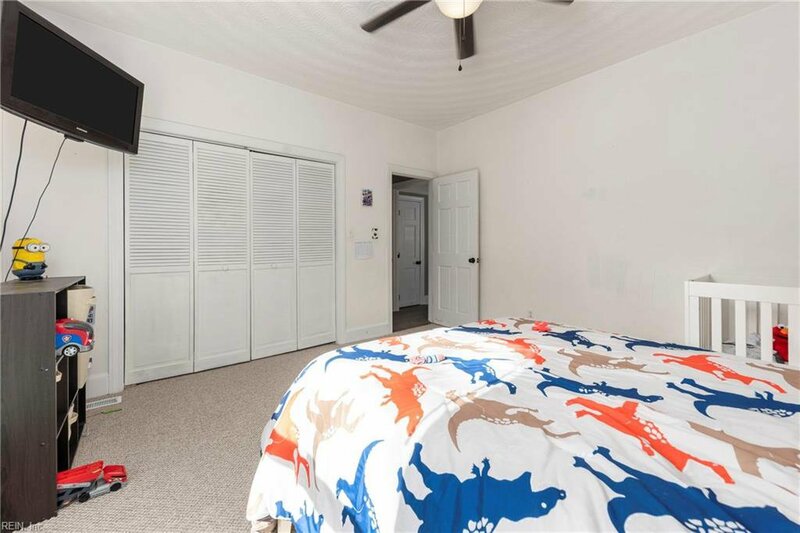 2 bedrooms along with 1 full bath and 1 half bath downstairs, 2 bedrooms and 2 full baths upstairs. 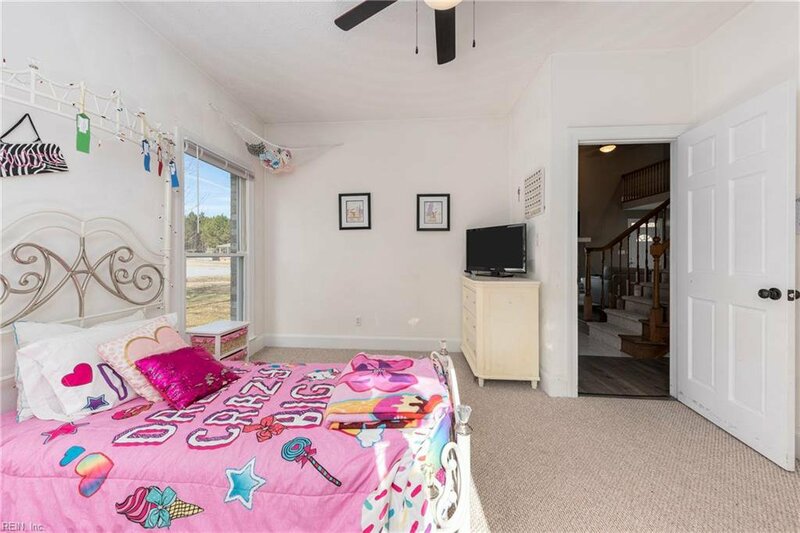 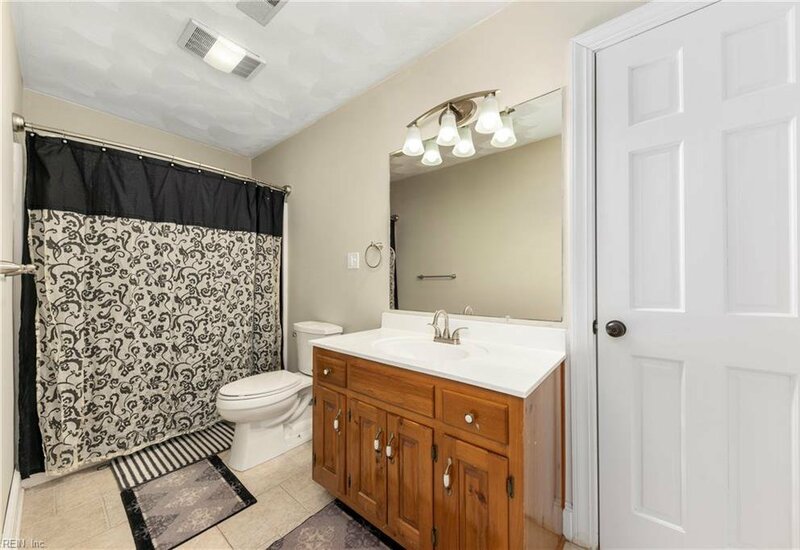 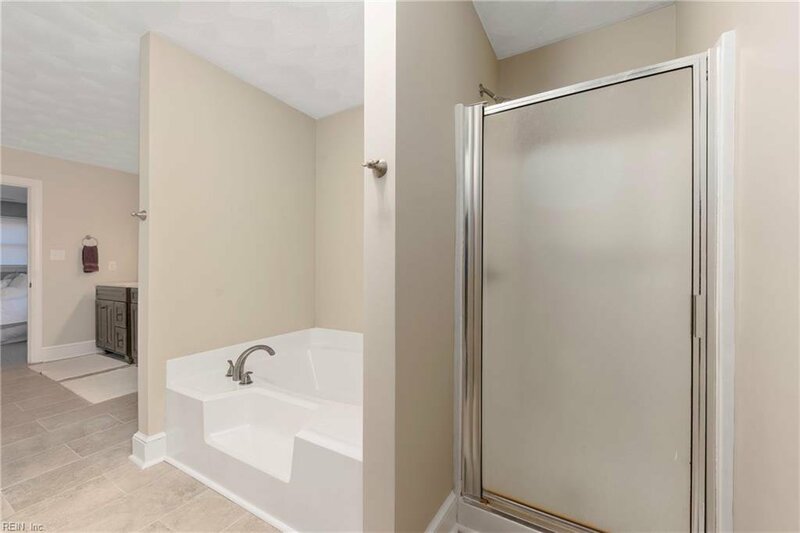 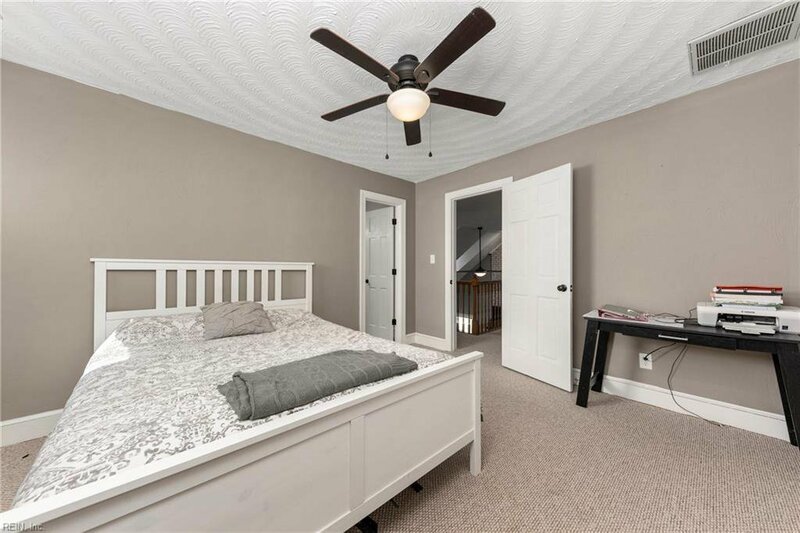 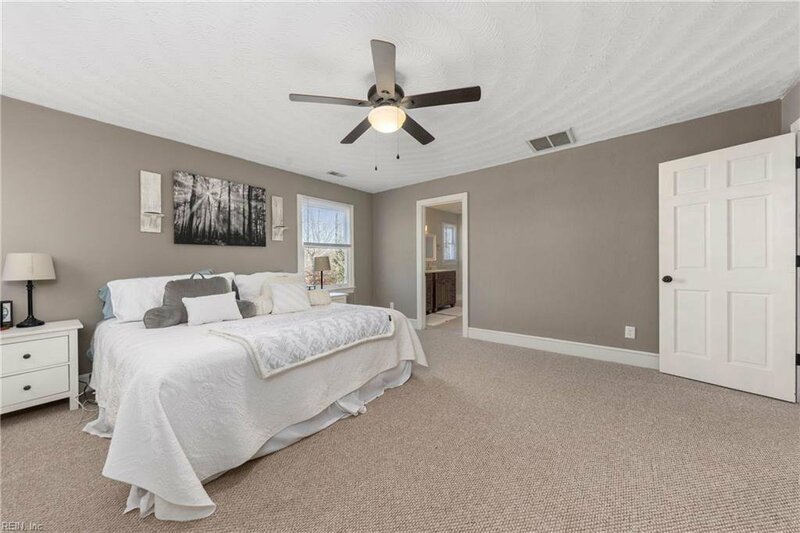 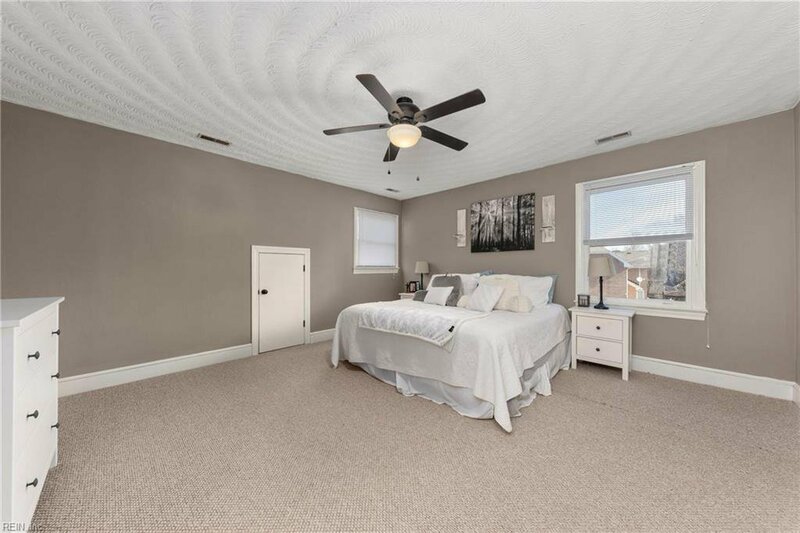 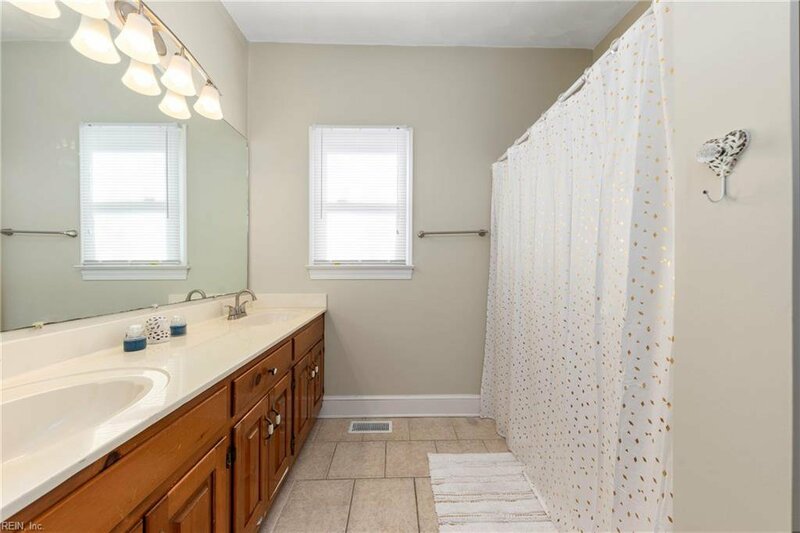 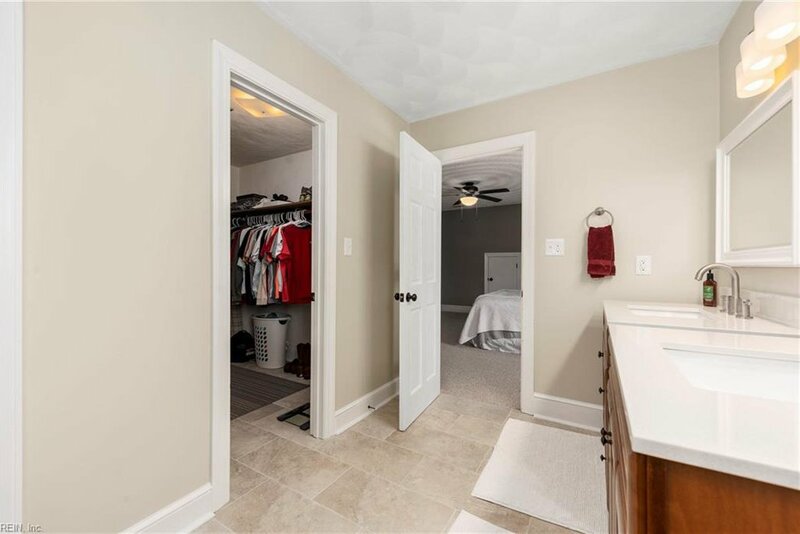 The master suite offers a newly renovated bathroom with ceramic tile flooring, new dual vanities, garden tub, separate shower & walk in closet. 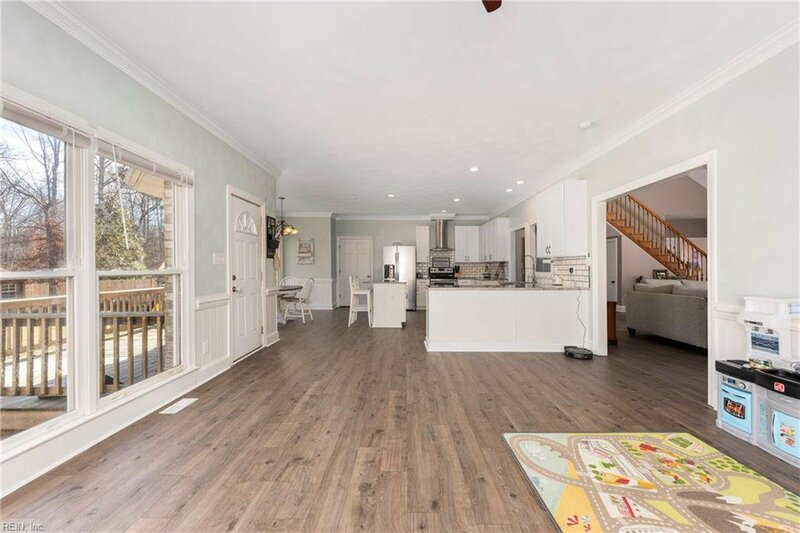 New laminate flooring throughout the great room, kitchen, dining room and laundry. 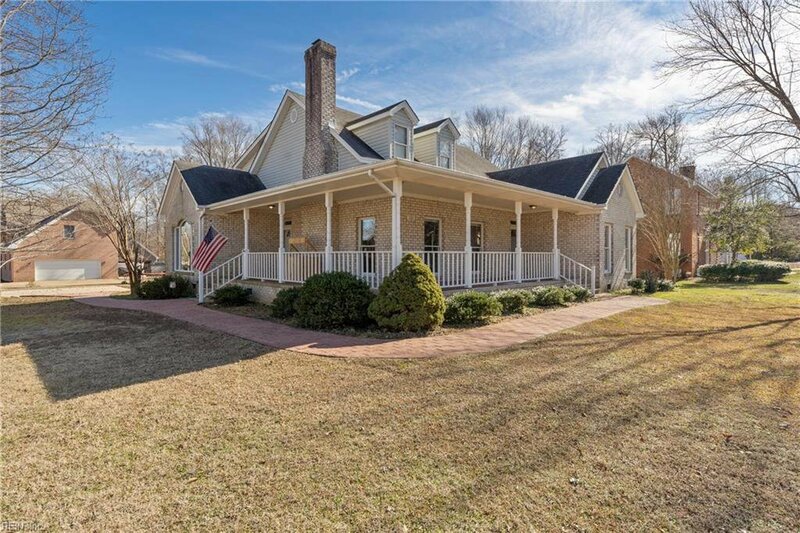 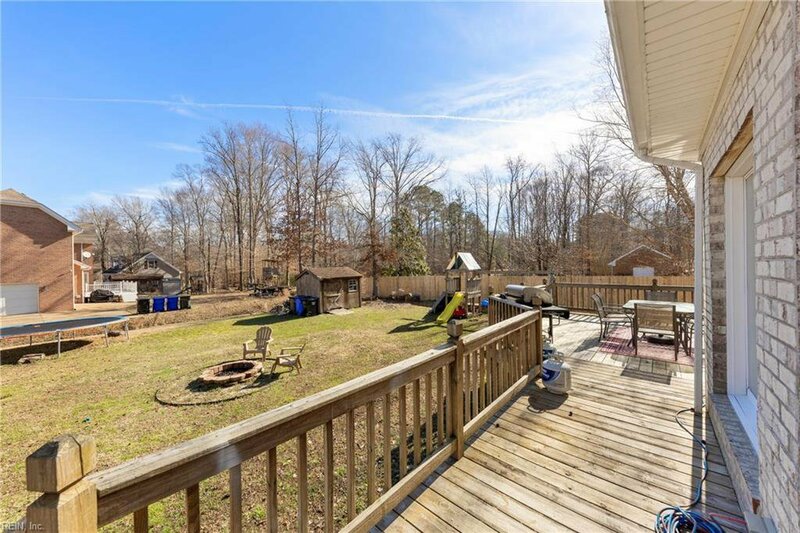 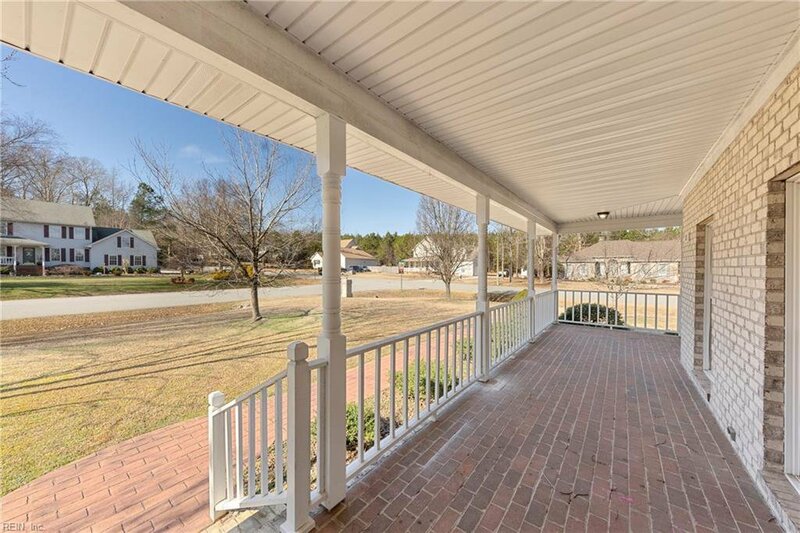 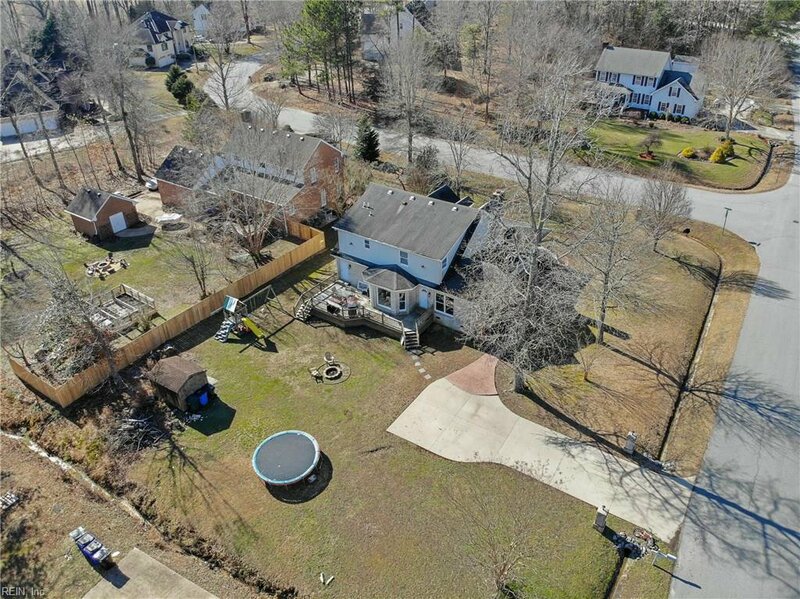 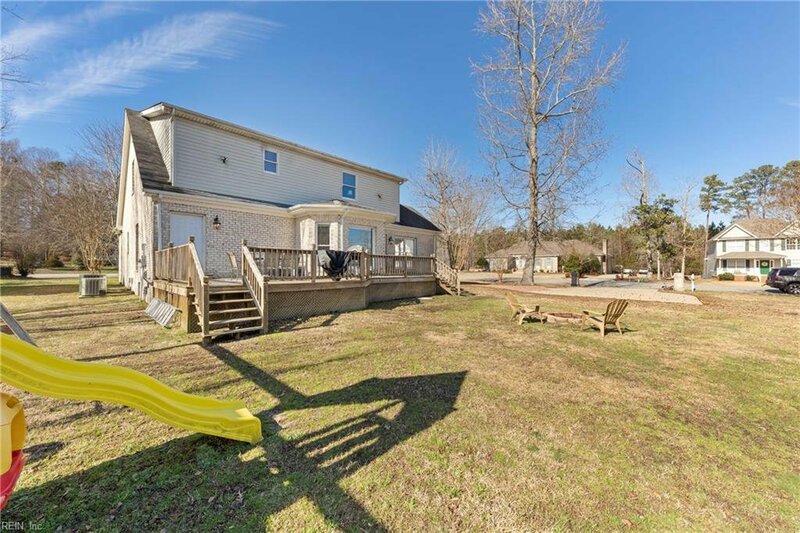 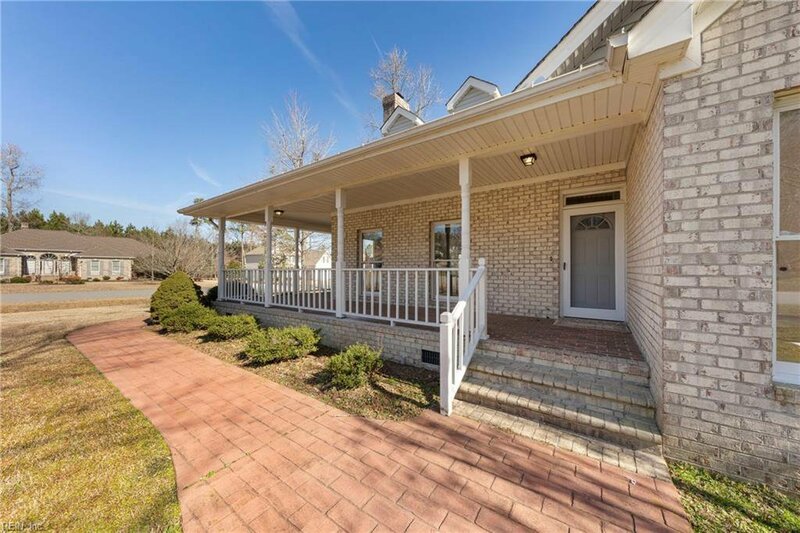 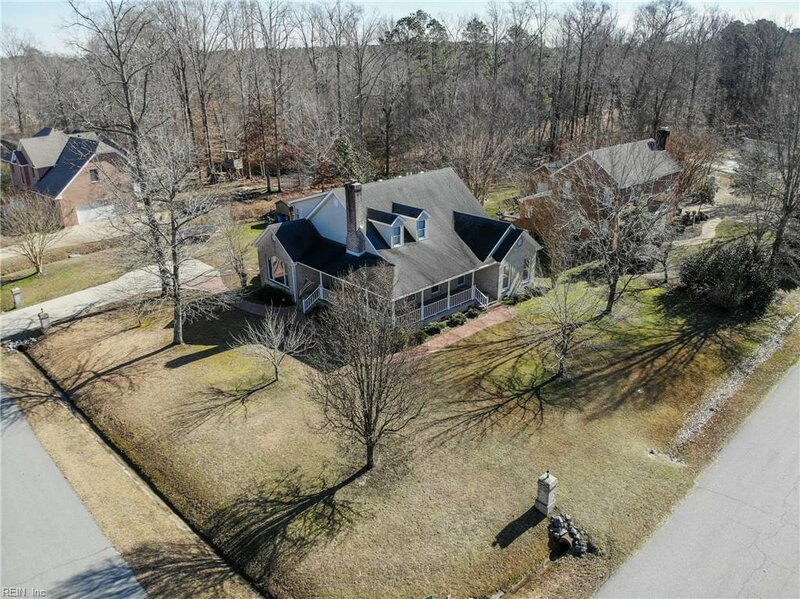 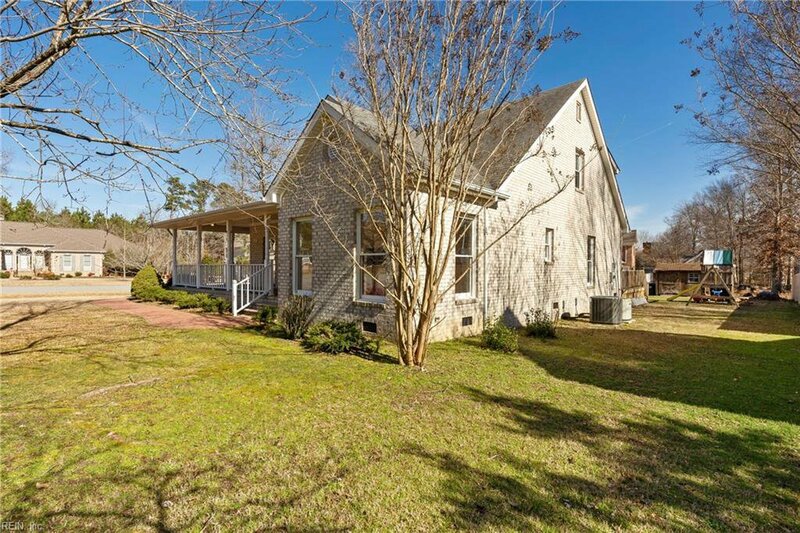 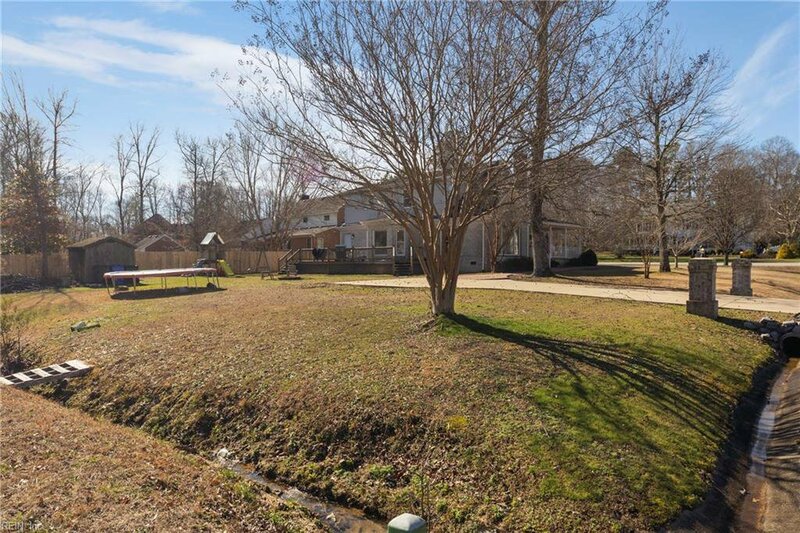 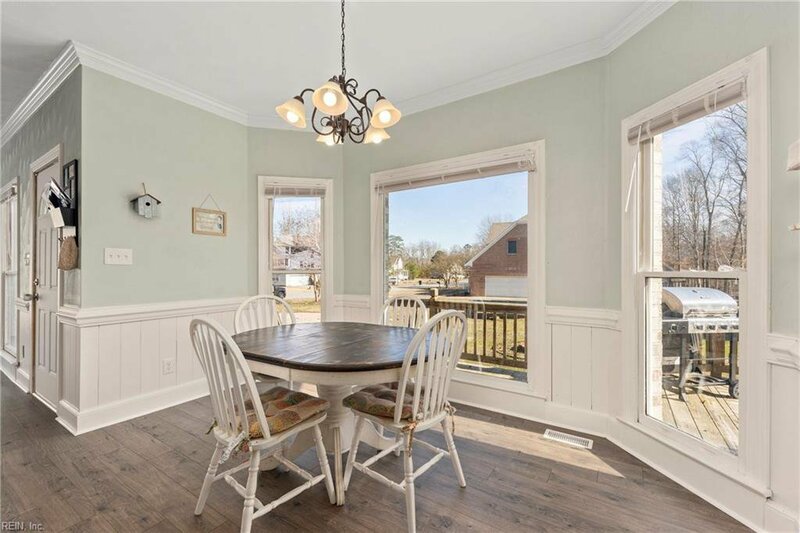 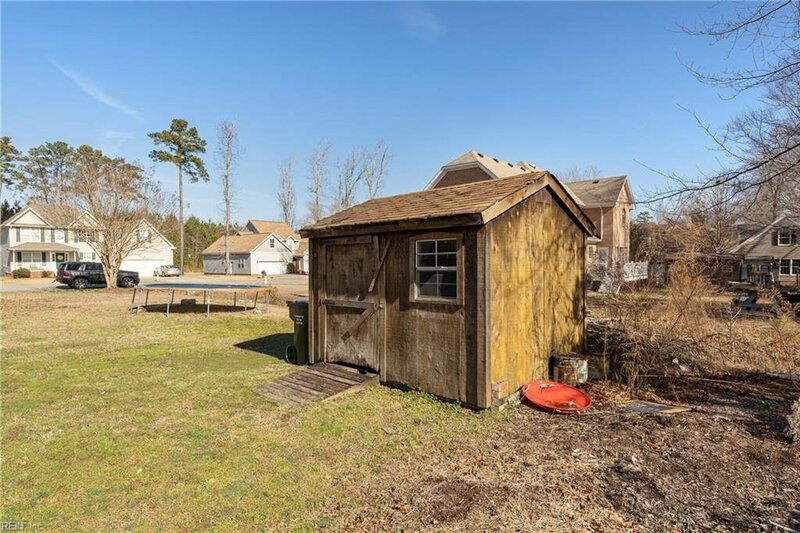 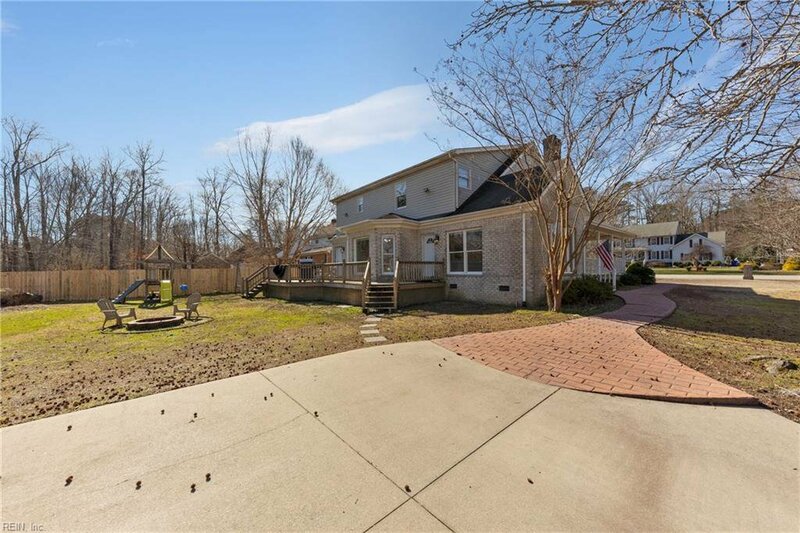 Enjoy relaxing days or evenings on your wrap around porch and large deck; situated on just over 1/2 acre corner lot.